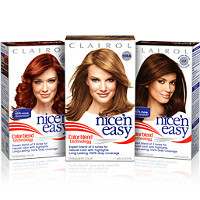 Nice'n Easy only makes superior, natural-looking color, so even in revealing sunlight, it doesn’t look like hair color, it looks like it’s 100% you. The best-kept beauty secret? The miracle CC Color Seal Cream found in every box of Nice'n Easy for added shine, softness and brilliance.